In Republic of Poland v PL Holdings before the Svea Court of Appeal, Poland argued that the arbitration provision in the investment treaty between Poland, Luxembourg and Belgium was incompatible with EU law according to Achmea. Poland therefore challenged two arbitral awards and requested that the Svea Court of Appeal declare them invalid or set them aside. On 22 February 2019 the Svea Court of Appeal rendered a judgment largely upholding the two arbitral awards. (1) However, the court granted leave to appeal to the Supreme Court, as it deemed the case to include issues of importance for the guidance of the application of law. In its March 2018 decision in Achmea,(2) the European Court of Justice (ECJ) found that Articles 267 and 344 of the Treaty on the Functioning of the European Union must be interpreted as precluding a provision in an international agreement concluded between EU member states, under which an investor from one of those states may, in the event of a dispute concerning investments in the other state, bring proceedings against the latter before an arbitral tribunal whose jurisdiction that state has undertaken to accept. In January 2019, all 28 current EU member states agreed to terminate all bilateral investment treaties (BITs) concluded between them by 6 December 2019 as a consequence of Achmea. In 1987 Poland entered into a BIT with Luxembourg and Belgium. 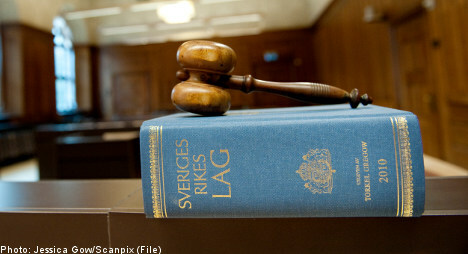 The BIT included a dispute resolution provision which provided investors with the right to bring proceedings before an arbitral tribunal, including in accordance with the Arbitration Rules of the Stockholm Chamber of Commerce (SCC). In 2014 a Luxembourg company, PL Holdings Sárl, initiated an SCC arbitration in Stockholm against Poland. PL Holdings claimed that Poland had violated its obligations under the BIT by expropriating PL Holding’s assets in Poland. In 2017 the arbitral tribunal rendered a partial award, concluding that Poland had breached its obligations under the BIT. Later that year, the arbitral tribunal rendered a final award granting PL Holding compensation for losses. the awards had not been covered by a valid arbitration agreement between the parties. In these parts Poland referred to Achmea as a basis for its arguments. Poland also invoked other challenge grounds. The Svea Court of Appeal upheld the arbitral awards, except for one part regarding pre-award interest which was set aside. The Svea Court of Appeal assessed the relevance of Achmea in relation to the present case and found that the dispute resolution provision in the present BIT had the same content as the provision in the Dutch-Slovak BIT discussed in Achmea. The court then highlighted the difference between the ECJ’s view on commercial arbitration, which is based on the intentions of the parties to the arbitration, and intra-EU investment arbitration, which is based on a treaty between EU member states, which agree to remove from their jurisdiction disputes that may concern the application or interpretation of EU law (Achmea, paragraph 55). The court concluded that Achmea did not preclude Poland and PL Holdings from entering into an arbitration agreement, irrespective of the existence of the dispute resolution provision in the BIT, based on the intentions of the parties. An arbitration agreement and arbitral proceedings between the parties are not incompatible with EU law per se. The court found that Achmea did not prevent Poland and PL Holdings from entering into an implicit or express arbitration agreement regarding the specific dispute. Under the SCC rules, an objection concerning the validity of the arbitration agreement had to be made at the latest in the statement of defence. In the statement of defence, Poland raised an objection of lack of jurisdiction of the arbitral tribunal based on that the counterpart was not an investor under the BIT. Subsequently, in the statement of rejoinder, Poland raised the objection of lack of jurisdiction of the arbitral tribunal on the grounds of that dispute provision in the BIT was invalid due to incompatibility with EU law. The Svea Court of Appeal referred to the German Federal Court of Justice’s judgment in Achmea that had been rendered after the preliminary ruling from the ECJ. In its judgment, the Federal Court of Justice considered it to be important that the state in question had objected to the jurisdiction of the arbitral tribunal on the grounds of that the arbitral agreement was incompatible with EU law. (3) The objection had been raised when the arbitration proceedings were initiated and maintained throughout the proceedings. The Svea Court of Appeal found that Poland had not raised the objection of lack of jurisdiction of the arbitral tribunal on the grounds of incompatibility with EU law in time according to the SCC rules. Poland’s argument regarding absence of a valid arbitration agreement was therefore precluded under the Swedish Arbitration Act. The court also addressed the potential need for requesting a preliminary ruling from the ECJ and found that such a request was not necessary. Further, Poland claimed that the arbitral tribunal had amended the partial arbitral award with a decision concerning pre-award interest in the final award. Poland argued that this amendment was not made within the time limit stated in the SCC rules and should be set aside. The Svea Court of Appeal concluded that the arbitral tribunal had exceeded its mandate by not having decided the matter regarding the pre-award interest in time according to the SCC rules. The paragraph in the final award relating to the pre-award interest was therefore set aside. The court also found that a procedural irregularity occurred when the tribunal rendered a partial award without prior notice to the parties. However, since the court deemed it improbable that the irregularity had influenced the outcome of the case, the award was not set aside on this ground. The court dismissed the rest of Poland’s claims. According to the Svea Court of Appeal, Achmea does not preclude states and investors within the European Union from entering into an arbitration agreement regarding a specific dispute. Further, a party which has not raised an objection of lack of jurisdiction of the arbitral tribunal in time relating to the agreement between the parties is precluded from arguing the absence of a valid arbitration agreement under the Swedish Arbitration Act. According to the court’s reasoning, this also applies if the state has raised a jurisdictional objection in time but on other grounds and thus not on the basis of Achmea. Notably, the court granted leave to appeal to the Swedish Supreme Court. It should also be noted that, if appealed by either party, the Supreme Court may request a preliminary ruling from the ECJ. For further information on this topic please contact Madeleine Thörn or Fredrik Norburg at Norburg & Scherp by telephone (+46 8 420 035 00) or email ([email protected] or [email protected]). The Norburg & Scherp website can be accessed at www.norburgscherp.se. (1) Svea Court of Appeal, 22 February 2019 (T 8538-17). (2) ECJ (Grand Chamber), 6 March 2018, Slowakische Republik v Achmea BV (C-284/16). (3) German Federal Court of Justice, 31 October 2018 (I ZB 2/15).